Sometimes the right attire is all you need to express yourself. 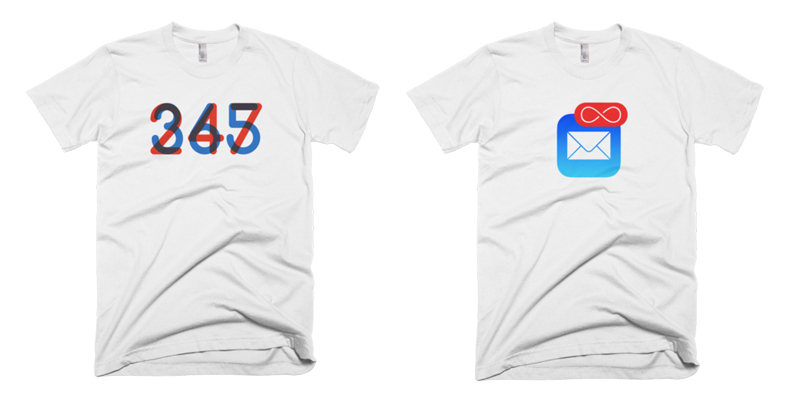 And, one way to go about it is statement tees. 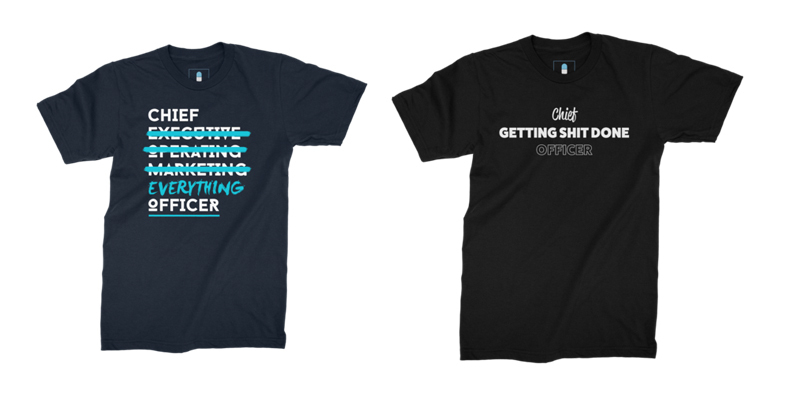 They’re effortless, easy to style, and not to mention they’re the best at getting the message across to the public; nothing stands out more than blocks of text with relatable quotes designed onto a plain shirt. After all, not everyone can rock the Steve Jobs black turtleneck and jeans combo everyday. 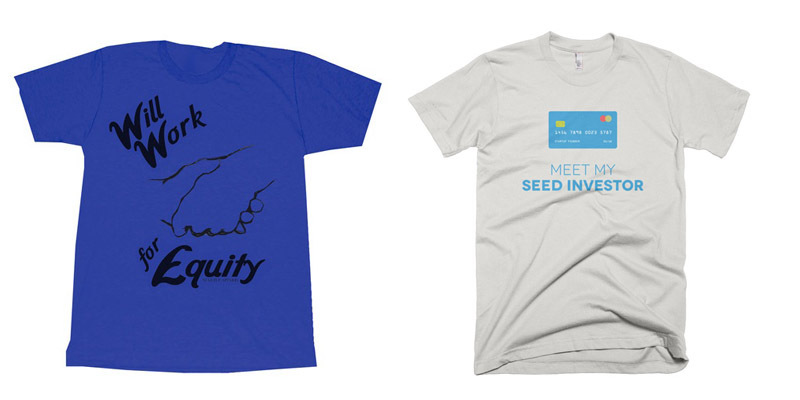 So here are 20 shirts that every startup founder should own (pun intended). One of the main goals of any startup founder is of course to earn profit. And what better figure to aim for than the big one million that is always a huge boost to a startup. Bragging rights can’t get any better than this. 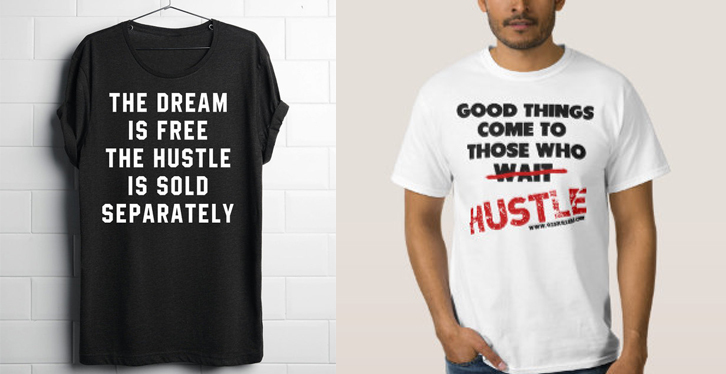 Nothing resonates with a startup more than the word ‘hustle’. People know that hard work is always rewarded but the amount of effort that a startup founder puts into creating his business and building it up is what makes him a true hustler. No entrepreneur just sits and waits for rewards to come. That glamour, fame, and fortune you hear about a startup? Not always true, at least not in the beginning phase of growing a business. For a founder, holidays are a blessing that happen once in awhile and being able to clear at least half of your e-mails is already considered a feat. Harsh reality but a founder just needs to own it. 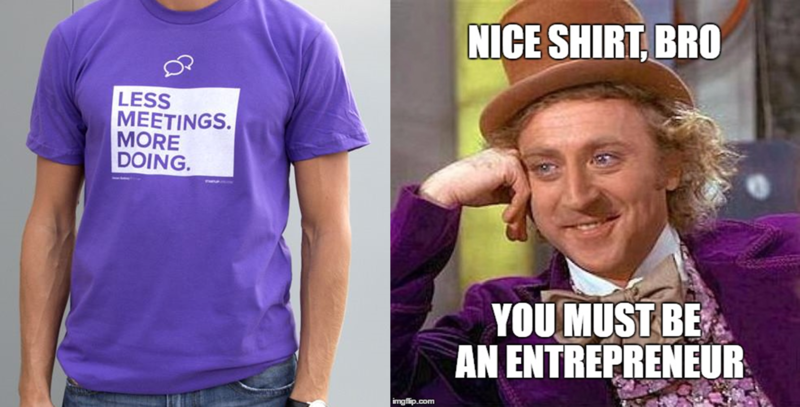 We all know how much entrepreneurs love quotes. Especially the inspirational ones. 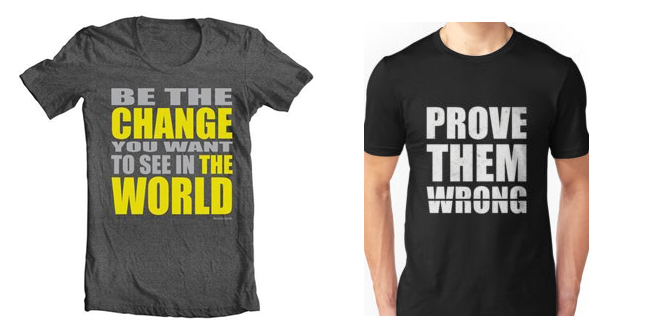 So why not have them on your shirts so you can go around spreading positivity on your own? After all, sharing is caring. 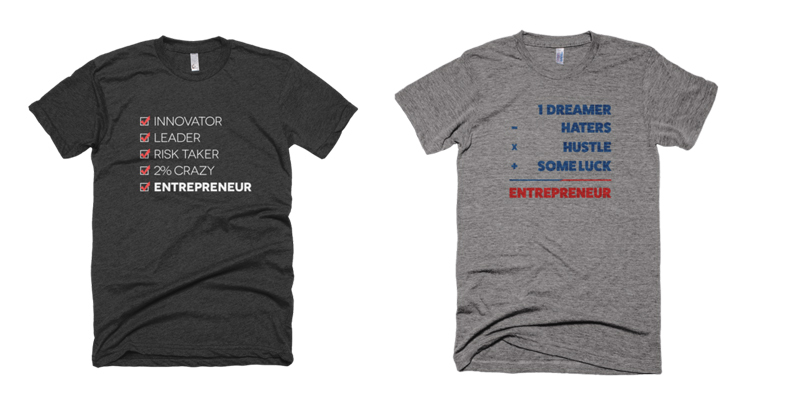 So what constitutes an entrepreneur? Different opinions can have different answers but the general idea is usually these words as seen above. Startup founders can probably relate to these equations and decide themselves whether this one is accurate or not. Once you’re a founder, you’re not just the boss. In a startup world, the organisation chart can be misleading because a founder can juggle more than one responsibility. Part of being a CEO I guess. Failure is sometimes something inevitable with a startup. But if there’s one thing startups know is that failure never means the end. It’s just a stepping stone for their next endeavour and is used instead as motivation to work better for the next opportunity to make sure the mistakes aren’t repeated. 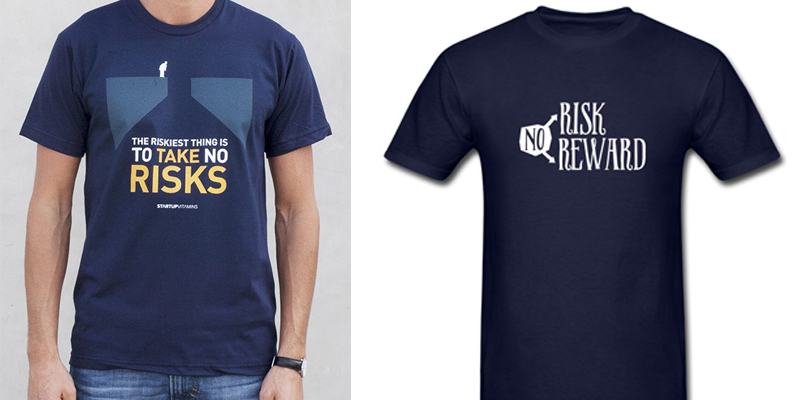 A word always associated with any entrepreneur is risk. When you’re in this field, taking risks should come naturally and entrepreneurs are said to be ones who dare to to take slim chances and work it to their advantage. 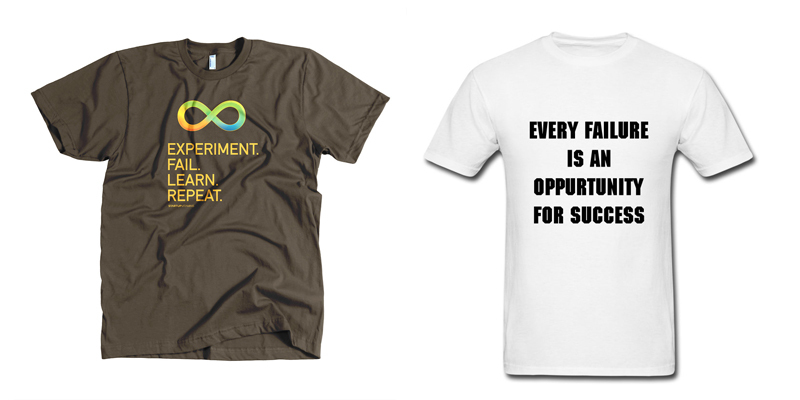 I think these shirts speak for themselves, right? The bond between a VC and a startup has been portrayed many times to be similar to a marriage. So what a better way to show it than expressing it through a shirt? Though the quotes may lack the romantic sense, the core of how the relationship works is still the same, no? 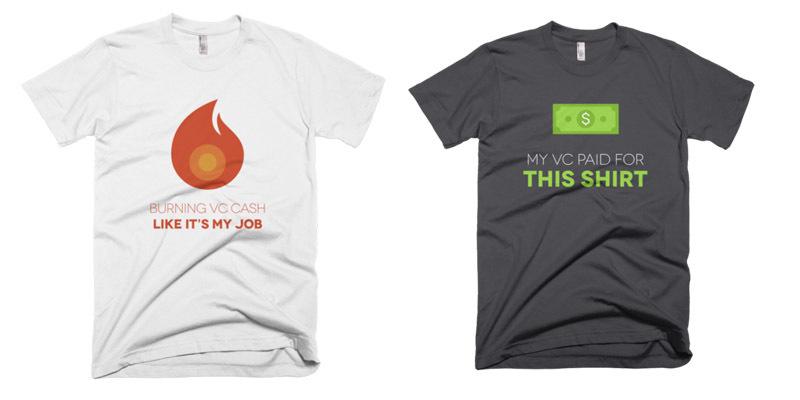 Are there any other statement tees out there you feel a startup founder should have? Let us know in the comments below.